fighting wn 101108-223_edit.jpg.PLYMOUTH October 11: No Boundary hosted "The Awakening," a Mixed Martial Art event at the JunglePlex in Plymouth. 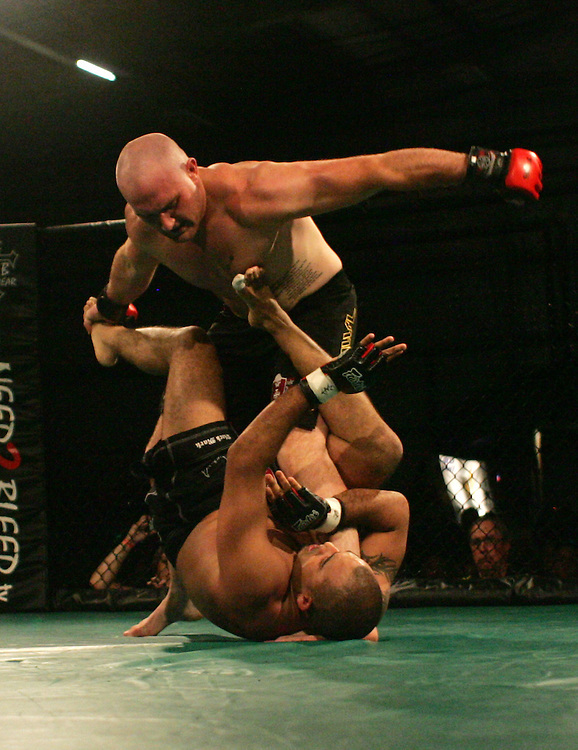 Jesse Peterson pounds away at his opponent Eddie Saldana. ..Photos by Will Nunnally for the Patriot Ledger.